Google Analytics is a terrific platform for understanding more about how visitors use your website. However, keep in mind that it is not tracking data the same way that log servers track clicks. 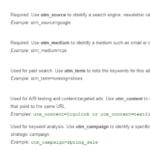 Click data is based on ad server logs from the ad exchange(s). 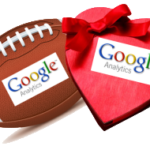 Analytics data (such as Google Analytics), is based on cookies or page loads. 1. When the click from an ad takes place, the browser is pointed to the advertiser’s landing page. 5. If any of the above are disabled, Google Analytics may not be able to record a session. 6. Next, the browser sends a separate request to www.google-analytics.com, the Google Analytics servers. 7. Finally, a session is recorded. Ad servers track clicks, while Google Analytics tracks sessions. If a user clicks on your ad twice within thirty minutes without closing his or her browser, this is registered by Google Analytics as one session, even if the user left your site and then returned shortly after. 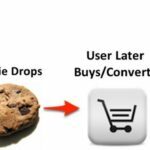 For example, if a user clicks on your ad once, clicks the back button, and then clicks your ad again, the ad server registers two clicks while Analytics registers one session. 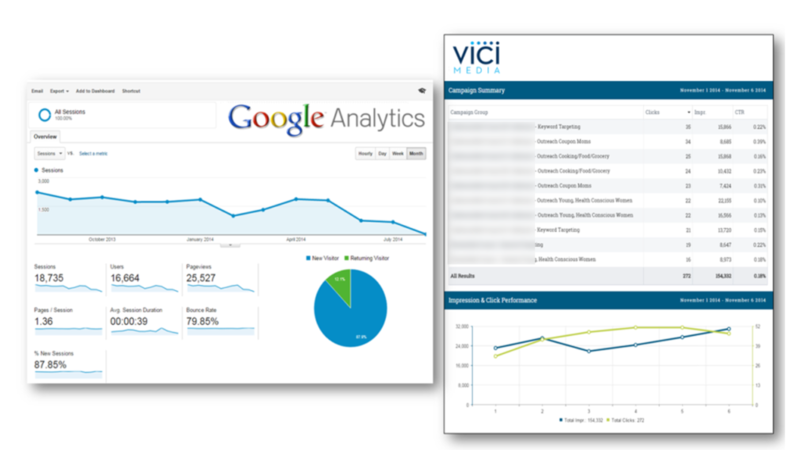 Analytics only counts visitors in a 30 minute window. If a user were to click on the ad, go to the site, view the landing page, then repeat the process (perhaps from another page on your site with another ad from the advertiser with the same referral URL) within 30 minutes, Google Analytics will still only count the first referral, but the ad server will have counted 2 clicks. Redirects in landing pages can often keep the Google Analytics code from launching and properly identifying the traffic. If a user comes to your site from an ad, and then leaves the landing page before the Google Analytics tracking code executes, then the “gclid parameter” is never passed to the Google servers, and that click is not associated with the session. The result is a clicks vs. sessions discrepancy. If your Google Analytics tracking code is at the bottom of your web page and placed right above the closing of the body section then you are definitely at risk for reporting discrepancies. And, the bigger and heavier the page the more at risk you are. Why is this an issue? Because a person who clicks on your ad and bounces quickly will in all likelihood never trigger the Google Analytics tracking code lying at the bottom of your page code. One simple solution is to place your Google Analytics tracking code near the top of the page to minimize the risk. A VISITOR MAY CLICK YOUR AD MULTIPLE TIMES. When one person clicks on one advertisement multiple times in the same session, the ad server records multiple clicks while Google Analytics recognizes the separate pageviews as one visit. 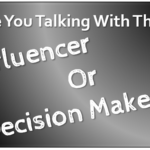 This is a common behavior among visitors engaging in comparison shopping. A VISITOR MAY CLICK ON YOUR AD, BUT THEN CHANGE HIS/HER MIND AND PREVENT THE PAGE FROM FULLY LOADING. This can happen by clicking to another page or by pressing the browser’s stop or back buttons. In this case, Google Analytics won’t register a visit, but the ad server still counts this as a click. Some browsers give users the option to disable images that are requested from domains other than the current page. Disabling such images will prevent data from being sent to Google Analytics. Even among cookie-based tracking solutions, there is a difference between 1st party and 3rd party cookies. Because 3rd party cookies are set by a source other than the website being visited, they’re often blocked by browsers and security software. Google Analytics uses 1st party cookies. This might sound like a no-brainer, but it happens too often that a landing page doesn’t contain the Google Analytics tracking code. If this happens, a click is measured, but no visit at all. How Do I Get Renewals From My Clients? 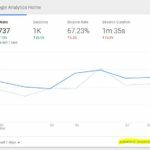 Google Analytics Can Tell Me When I Should Advertise? UTM Codes?! I’ve never heard of UTM Codes!